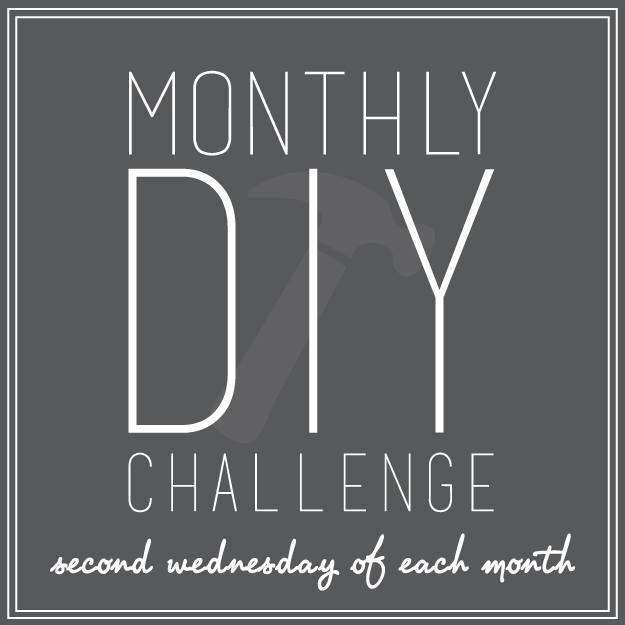 It’s the second Wednesday of the month and you know that means- Monthly DIY Challenge time! This month our theme was paint. 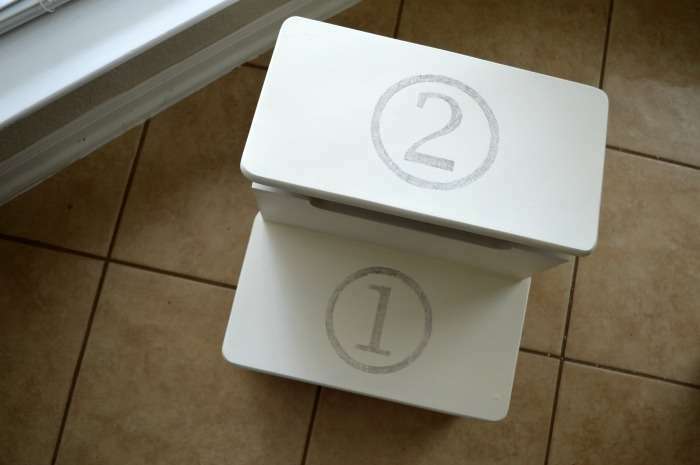 Pretty general but you can do just about anything with paint, from giving a piece of furniture a makeover to creating a custom piece of art. 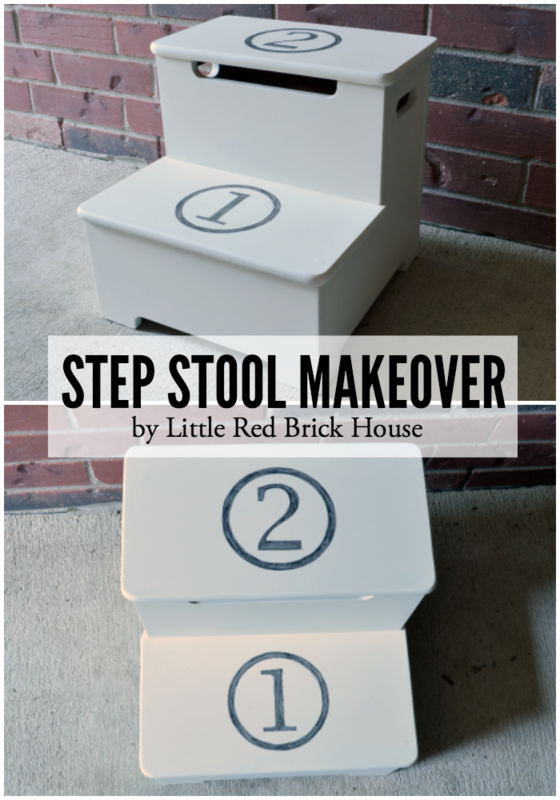 I decided to go the route of a makeover and jazzed up an old step stool that we’ve had since my son was a toddler. This is what it’s looked like for the past 7 years- orangey brown, scratched up and ugly. 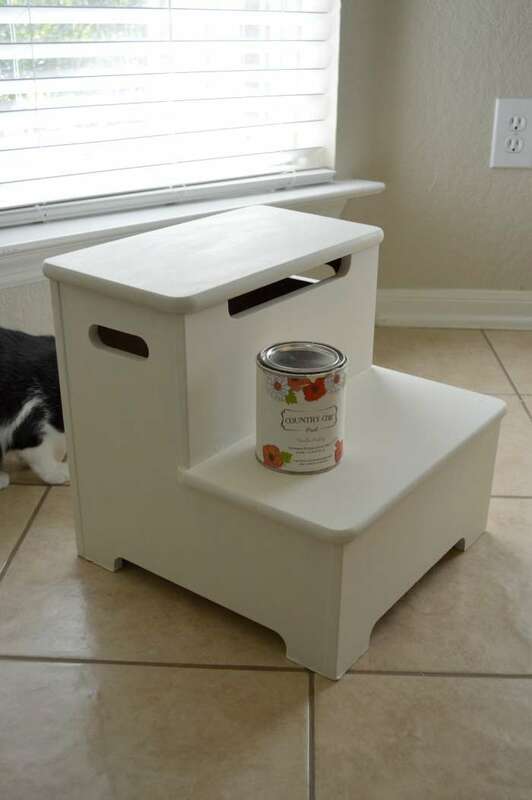 First I painted two coats of Country Chic Paint’s Vanilla Frosting all over. While that was drying I printed out my numbers. 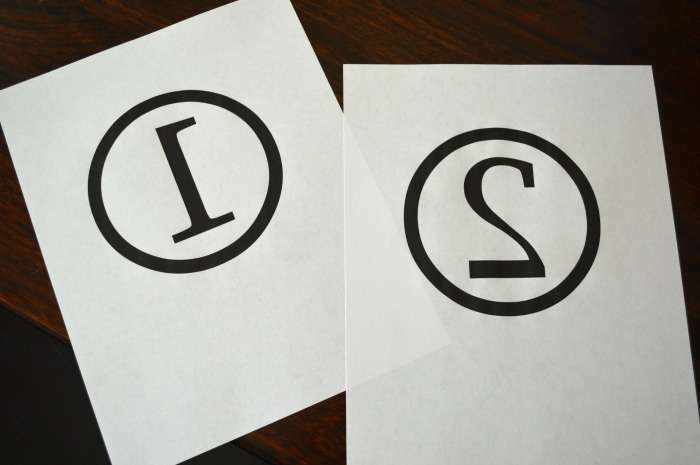 To get the circled numbers I opened a Word document, and typed the lowercase letters ‘j’ and ‘k’ in the font Wingdings 2. Don’t ask me why the letters ‘j’ and ‘k’ come out as ‘1’ and ‘2’ in that font. It’s crazyness. 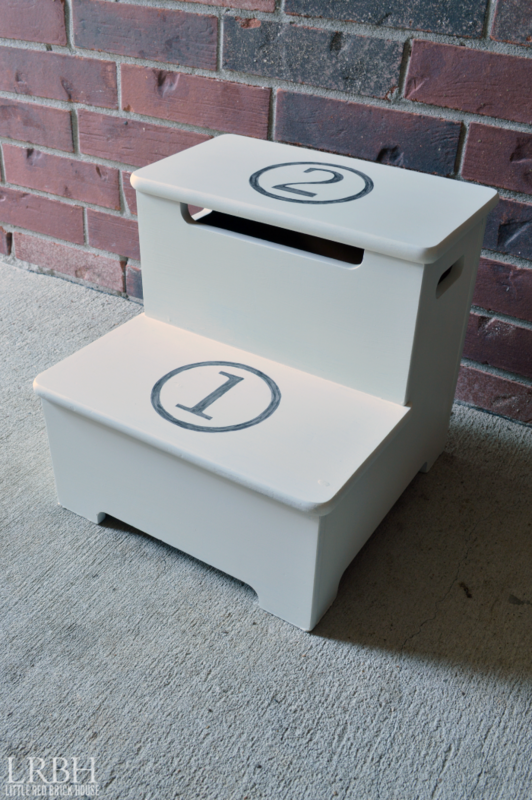 In order for the numbers to transfer properly I had to flip the text horizontally so that when I placed the paper ink side down on the stool, the numbers wouldn’t be backwards. Does that make sense? Here, maybe this photo will help. Next I placed the paper down on the step and lightly wet the backside of the number with water. Don’t get it too wet, though. You don’t want the paper turning into mush during the next step. 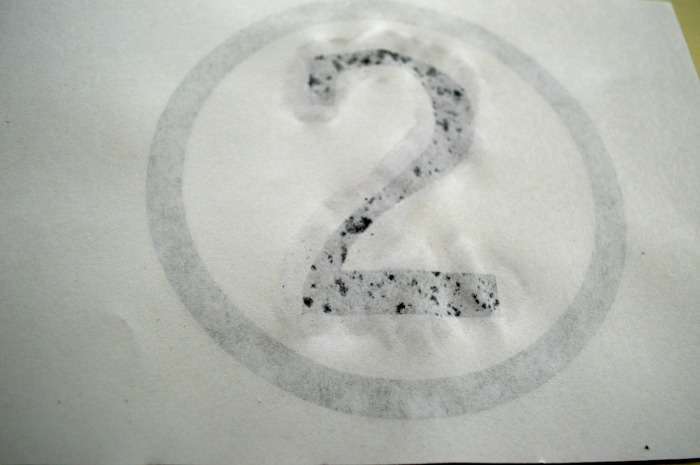 While the paper is wet, take the tip of a sharpie cap and gently rub over the letter. 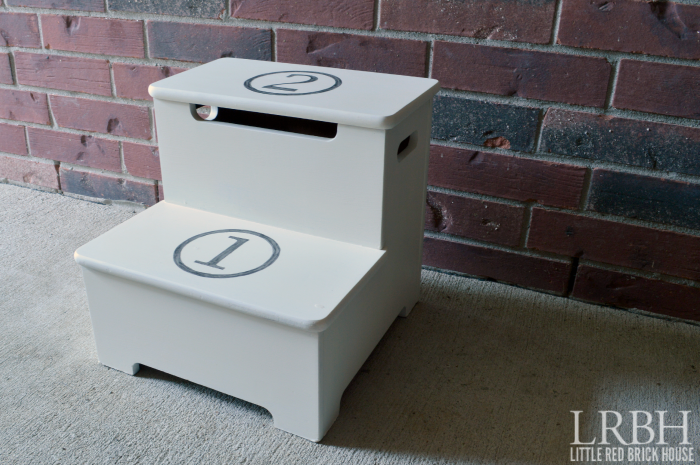 The ink will transfer from the paper to the stool. 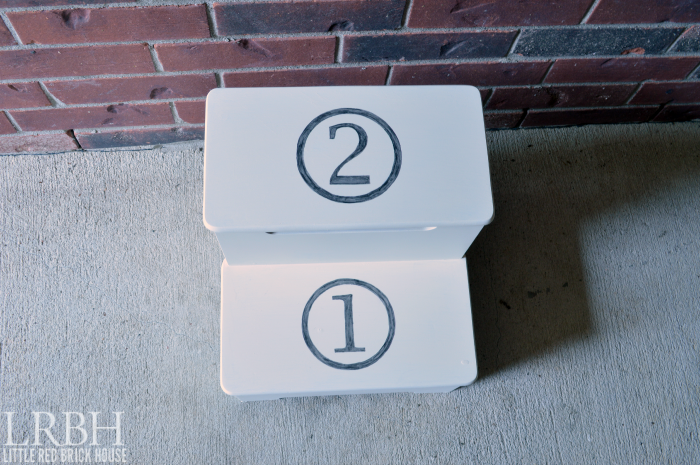 You could leave it like this, but I wanted the numbers to be a little more pronounced yet not super opaque, so I mixed some Liqourice from Country Chic Paint with a little bit of water and carefully painted over the numbers. Once everything dried completely I applied 2 coats of polycrylic to protect the finish. This was a simple and quick project and it’s definitely more my style. I love how much of a difference a bit of paint make. If you have a piece of furniture that you’re thinking of tossing, I encourage you to try giving it a facelift with some paint first. You might just be amazed. Don’t forget to check out what my bloggy friends came up with for this months challenge. 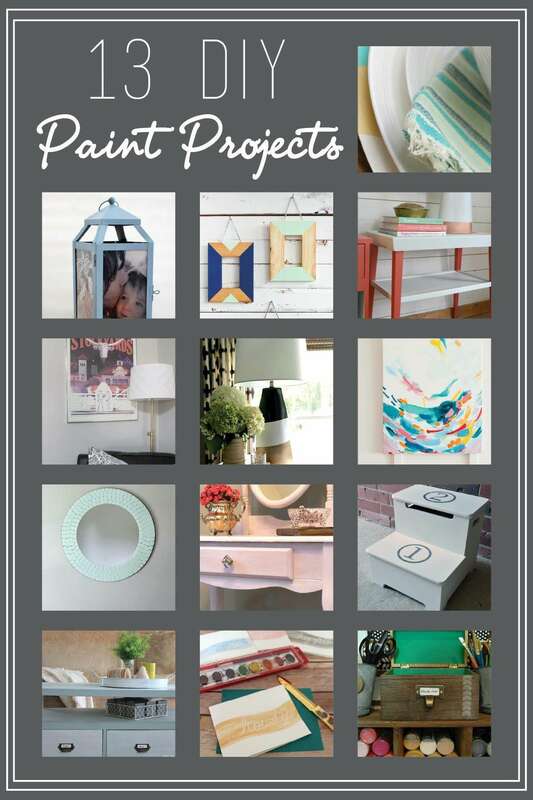 You can click through to each of their projects below. SOOOO cute! LOVE the numbers! Very cute! i’m intirgued by your wet paper transfer technique. I had never heard of that! I love this trick! So much cheaper than one of those stencil cutting machines and it works like a charm. Thanks for stoping by! Thanks, Christina! What a little cutie! The stuff you learn from Google, haha! Thanks so much, Erica! Beautiful makeover, Sarah! Looks fabulous, especially with the numbers! Love Country Chic Paint and used it for my project too 🙂 Have a wonderful day! Thank you , Kendra! I love their paint. So many pretty shades. So cute! Love the numbers!! So so cute! And I totally need to try that wet paper trick! Brilliant! Thank you, Bre! I love that trick. So quick and easy. Thanks, Erin! I am a Google master. I learn everything from Google, LOL. Cute makeover, Sarah! Love your transfer trick too! What a great makeover! Love your transfer method as well, I am going to have to try that! So. Cute. ! Lovely transformation! This looks super cute now. 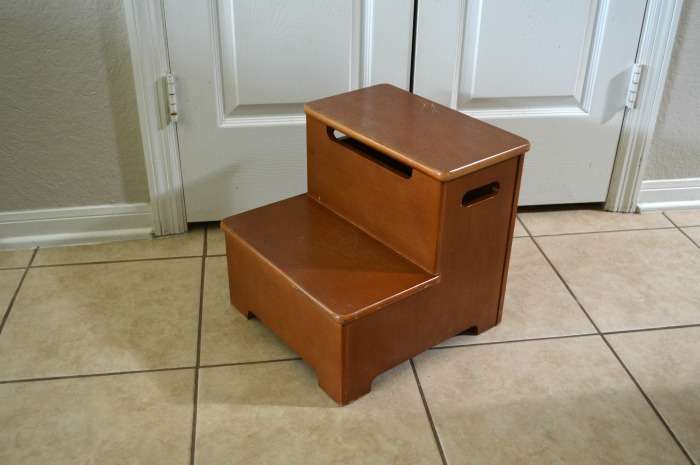 I have a step stool that has seen years of wear too and is in desperate need of a makeover. Thank you so much, Gilly! I was really surprised at how much of difference a new coat of paint made. Give it a shot!